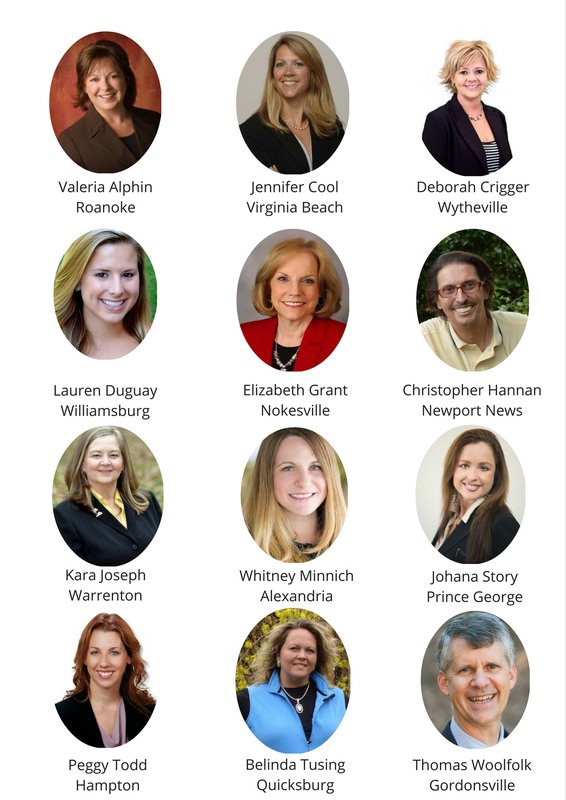 The Virginia REALTORS® are pleased to announce the graduation of the Virginia Leadership Academy (VLA) Class of 2017. This program, offered by the Virginia REALTORS®, is designed to inspire and prepare REALTORS® for leadership roles in local, state, and national REALTOR® associations. The VLA selectively enrolls REALTORS® every other year to enhance their personal and professional development, with a special group project at the core of the class experience. The VLA Class of 2017 led a successful statewide supply drive to benefit the furniture bank at CARITAS, a central Virginia non-profit organization that provides solutions for homeless and housing vulnerable individuals and families. The twelve members of the 2017 class worked alongside volunteers and fellow REALTORS® in their communities to gather furniture, housewares, linens, and cleaning supplies that benefit CARITAS’ clients.